A weretiger. A houseboy on a mission. A dancehall girl who gains possession of a cursed item. An English doctor with a secret—or rather, many secrets. Choo mixes these characters together in 1930s Malaysia in her gripping historical novel The Night Tiger, which Amazon editors picked as their number one Best Book of the Month for February. The Night Tiger also recently won a spot on the New York Times bestseller list. When I spoke by phone with Yangsze Choo, she described her novel as "part murder mystery and pop ghost story." But Choo quickly focused on a theme that appears within the novel over and over again: "I was thinking a lot about dualities, mirror worlds… how something could exist in two spaces at the same time. You have the world of the living, and the world of the spirits. The world of servants and masters who live in the same space but occupy completely different emotional and psychological lives." One of her mother's memories about the shared spaces of servants and masters prompted Choo's creation of the 11-year-old houseboy, Ren, whose devotion to his late master underpins much of the story. When Choo's mother was 12 or 13 and living in Malaysia, she went to visit a friend who had a position in a big house. Choo's mother would "come in through the kitchen door and sit there and admire her friend who had a job. Not so long ago children were working—and in many parts of the world they still are—and I thought about how amazing that was and at the same time how little the masters knew about what was going on in the kitchen. They had no idea that local kids are coming in and sitting there admiring your ice box and things like that." Ren, though young, is filled with zeal for the mission that he was tasked with by his late master: to find a missing mummified finger and bury it in his master's grave so that his master's spirit won't roam the earth. Said Choo, "I started this book off with a scene in my head, and that scene was the old man dying. He's telling his servant—a child servant—to do something which is really quite gruesome and tragic, and yet there's a lot of expectation, there's responsibility, and there is even a nobility of purpose." Choo's other key character, Ji Lin, works part-time in a dance hall in order to pay off her mother's mah jongg debts. Ren and Ji Lin's lives are destined to collide when Ji Lin accidentally comes in possession of the mummified finger that Ren so desperately seeks. When she tries to return it to the man who dropped it, she discovers that he has died in a freak accident and the finger is believed to be cursed. Ji Lin figures out that it may have been stolen from a nearby hospital, and she takes a temporary job there to try to return it. Ren's new English master, the young Dr. Acton, works at the hospital. As Ji Lin and Ren circle each other without yet knowing why, a strange new dynamic is revealed: They are named after two of the five Confucian virtues. Two of the other five virtues are Ji Lin's stepbrother, Shen, and Ren's dead twin brother, Yi. But who is the missing fifth virtue? Explains Choo, "Confucius is very concerned with humanity, and the five virtues are what makes up a whole man…. There's this Chinese sense that things should be in harmony, and if they're not, then you get all kinds of bad things happening." As Ren and Ji Lin grow closer to joining forces, bad things do happen. A young woman is killed by a tiger in the fields outside town. Or was it a tiger? The local constable has his doubts. A nurse falls, or is pushed, down a set of stairs after confiding in Ji Lin. Ren's twin brother, Yi, appears in Ren's dreams, hoping to coax him to the world of the dead. And then a tiger appears at night in Dr. Acton's garden. Is it Ren's former master, doomed to be locked in an animal's body? All these elements infuse The Night Tiger with a gorgeous depth that belies Choo's description of the book as a "1930s country house murder mystery." Yet the mysteries of who is running the hospital's black market for body parts, why Dr. Acton continues to stay in Malaysia even though he has a beautiful fiancée waiting for him back in England, and the identity of the mysterious fifth virtue propel the plot forward. Choo admits that she learned a lot between writing her first novel, The Ghost Bride, and The Night Tiger. "I learned not to be afraid of editing," she said, especially as it related to an overly generous word count. "You can cut your book in half, and actually it will be much better. At one point, my agent was like, 'They're always eating. Could you get rid of some of the food?'" Choo laughed. "I wrote a lot of this book late at night, after my kids had gone to sleep, and I would get very, very hungry at 11 o'clock. Then I would write in a snack." The hard-core editing works. Too often historical novels can feel overstuffed or simply stuffy. The Night Tiger is supple and powerful, like the predator that stalks the shadows of Choo's ensnaring tale. Whether readers gravitate toward the mythologies, food, and culture of 1930s colonial Malaysia under British rule, or toward the mystery that binds Ren and Ji Lin together, The Night Tiger will win over readers who love to be captured by a great story. 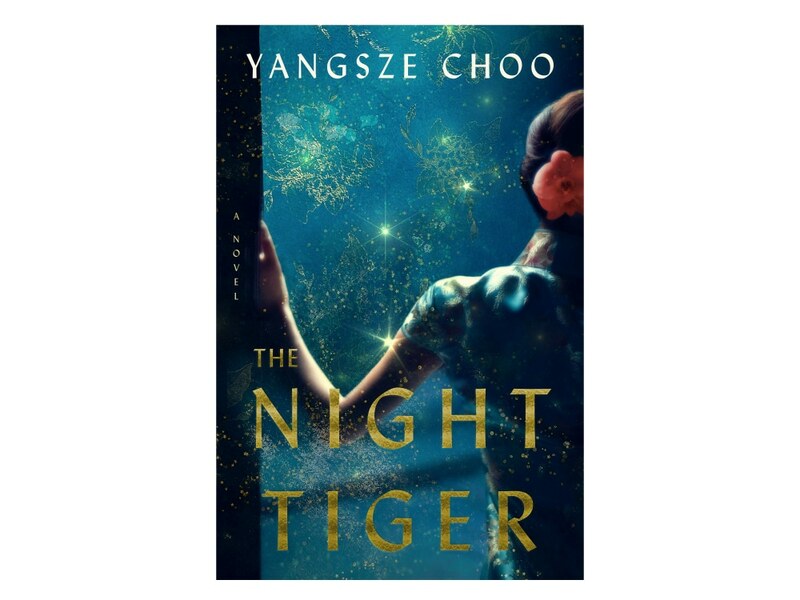 “Yangsze Choo Ensnares Readers with The Night Tiger” blog post republished with permission from The Amazon Book Review.